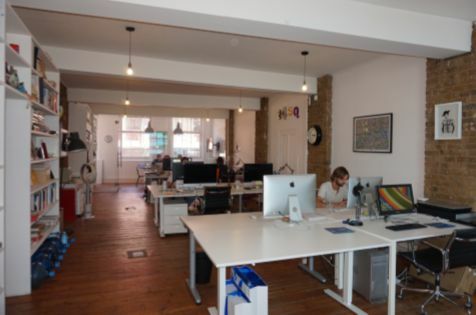 This available self-contained office unit is located on the second floor of this former period warehouse, which is accessed via a communal entrance lobby off Leonard Street. The accommodation is currently open plan. Features include wooden floor, part exposed brickwork, good ceiling height, gas central heating, good natural daylight, kitchen and private toilet/shower, entry-phone system. Situated on the north side of Leonard Street with Great Eastern Street to the east, with Old Street within a short walk away. The property is located within Shoreditch’s vibrant mixed-use area where there are many thriving business and is well served by many shops, amenities, eateries and bars. The property can be easily reached from Old Street Station (Northern Line and First Capital Connect) being only minutes away. Liverpool Street and Moorgate Stations are also within short distance, also the area is served by numerous bus routes. If you are interested in viewing these offices please get in contact with our team using the details provided below. 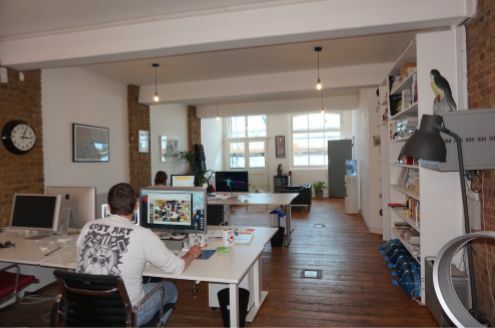 Shoreditch Office Space receive weekly updates on all the latest available properties in the area.